What do I need to look out for when hiring a Man and Van Service ? Full Name and Addresses, Insurance for Removal of Goods, a Sign Written Van with Company Logo, Vehicle Reg, Website with Reviews, a Landline Phone Number. Can you drop a sofa off in Wales ? The Answer is Yes, We provide a Service that covers the entire Mainland UK. Do you work Evenings and Weekends ? The Answer is Yes again, We work flexibly around you, and also on weekends at no extra rate. Yes, we are Fully insured with Goods in Transit and Public Liability Cover. What are the Benefits of a Man and Van over Van Rentals ? Hiring a van can start off and sound cheap at first, but when booking you will need to pay a deposit premium from anything between £200 - £250, then give the van back in one piece with a full tank of fuel and not forgetting loading and unloading the van yourself. The Benefits of a man and van are that you can also hire 1 or 2 men to do the load/unloading and driving for you. 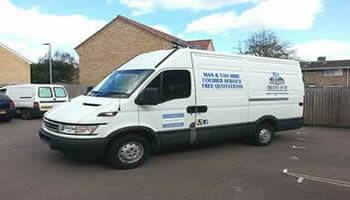 The Van is also our responsibility so if there is a crash a dent or scrape there is nothing to worry about. What are the differences between a registered Man and Van Service and just a guy with a Van ? Nowadays there are a lot of scammers out that take advantage of the removal industry, especially on social media sites offering to move your stuff in there work van at a very cheap rate. Being in this industry for nearly 10 year we have heard many horror stories, When researching a Man and Van Service always look out for photos of the business and jobs they have completed as well as a sign written van with the company details, address, landline phone number, ask to see insurance documents and a website with Google reviews. If we book with you will you turn up on the day ? Yes, we will and on time, We are a 100% Reliable Company with friendly and fully trained and uniformed staff. 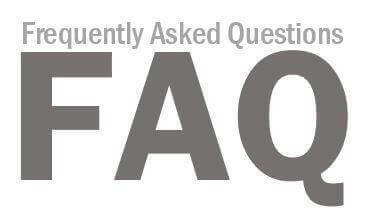 Do you also work for Small Businesses, Companies, and Charities ? Yes, we do. We undertake contracts or the one-off for Organisations, Companies, Charities, Events, Exhibitions, Councils, Schools, and Colleges.